A Newton Aycliffe-based businessman is part of a bold plan to bring Durham Tees Valley Airport back into public ownership. Tees Valley mayor Ben Houchen has struck a £40m deal with airport owners Peel Airports – but the sale has to be signed off by five local authority leaders at a meeting of the Tees Valley Combined Authority next week. Houchen has submitted a business plan which involves Stobart Group operating the airport, with an ambition to bring a return to commercial flights and a million passengers a year. 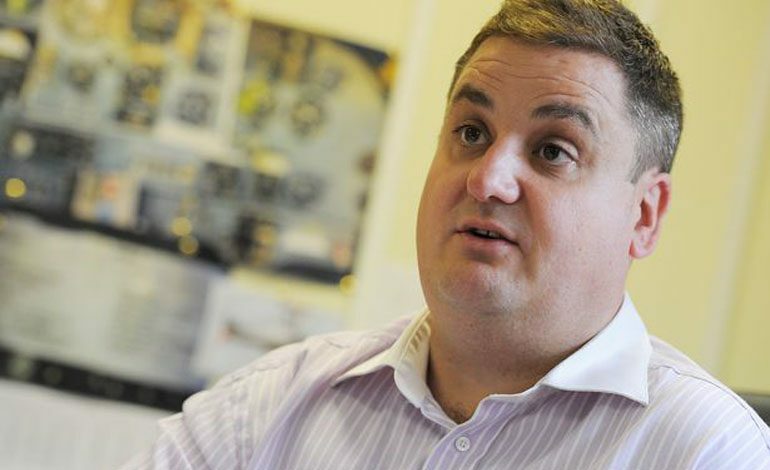 And Newtonian Wayne Richardson, director of Revolution Care on Aycliffe Business Park, is involved in a bid to build a luxury aircraft hangar for private business flights at the airport, which form part of the revival plan. The 1,600 sq ft hangar would bring business clients to the airport and could even be used by medics for organ transportation. It would be the largest hangar space built since tech firm Cobham, which handles a multi-million pound MoD contract, built its base at the airport . Richardson, a licensed pilot, is managing the hangar project on behalf of an unnamed investor and also has his own stake in the scheme. He said: “This will attract business clients to the airport, with local business jets and private hire. “We are also tentatively thinking about medical transportation of organs and are talking to people including doctors and medical professionals who would like to see something here. “Leeds is effectively trying to force out general aviation from their airfield because they need it for commercial use. “This will mean an increased number of movements for Teesside, which is what an airport needs; you need landing and take-offs, that’s how you make your money. “Teesside is the best location in the country, there’s nowhere else with very long runways other than Newcastle and Leeds. “Aircraft hangar space is always in demand. When it comes to runways, Teesside is absolutely perfect. The investor behind it already has planning permission for a 560sq m hangar wants to build one more than three times that size, claimed Richardson. “We are hoping for a robust investment plan,” he added. “We all know come 2021 the airport will close. “If for some reason the airport doesn’t work, the land will be the public’s to sell not some faceless investor’s. “The word in the industry is, there are a number of carriers that want to fly into there. Conservative Houchen, the first elected mayor of the Tees Valley, published a bold rescue plan on Wednesday to increase airport passenger numbers 10-fold, claiming he’s “confident” 12 international routes could be launched from Teesside over the next decade. The airport would be re-named Teesside International Airport if the deal goes through. The five local authority leaders – from Middlesbrough, Stockton, Redcar and Cleveland, Hartlepool and Darlington councils, all from the Labour Party – will vote on the £40m deal next Thursday (January 24). But it’s been confirmed the airport plan will be part of an all-or-nothing vote on a “renewed” 10-year spending plan by the Tees Valley Combined Authority. There will be no separate vote on the airport buy-out. Crucially, the spending plan includes a deal agreed with Tata by Houchen for almost 1,500 acres of land at the former SSI site near Redcar, which could unlock a huge new development on the South Tees Development site. Councils must vote unanimously for the plan “in its entirety – or all projects within the plan will not progress” – with Redcar council’s Labour leader Sue Jeffrey labelling the proposal as “complete nonsense”.